And this has all those classic COB moves we associate with their restoration. Buffer and riparian area vegetation was torn out and replaced with wood chips. There is the nice, large educational sign, which is the mitigation for human impacts (it will tell people that the area they are trampling contains forage fish and threatened marine animals). It will be pasted on a steel platform secured by a big piece of impervious cement right above the steep slope down the beach, which now is devoid of vegetation. And how about that new handrail on the second set of stairs nearer to the water? Blends in beautifully, huh? I have to admit that I have been so wrong and COB has been so right. As this project clearly shows, people and wildlife are compatible uses on the same site. Can’t wait until the entire waterfront looks like this, can you? And as an extra bonus, the plant material being cleared away had a bunch of garage and junk left behind by homeless people. Good thing we got rid of them before they did something stupid, like hurt the ecological function of a rare pocket beach. 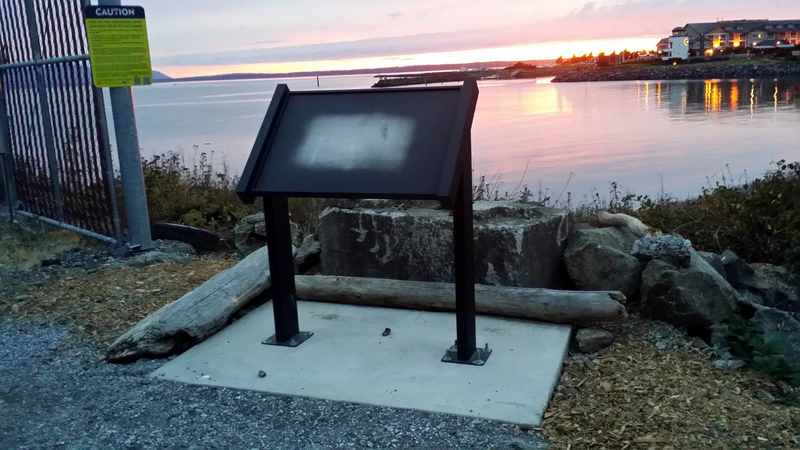 So take the family and head on down to the newest shoreline public access area, and don’t forget to thank the city. Wendy’s P.S. 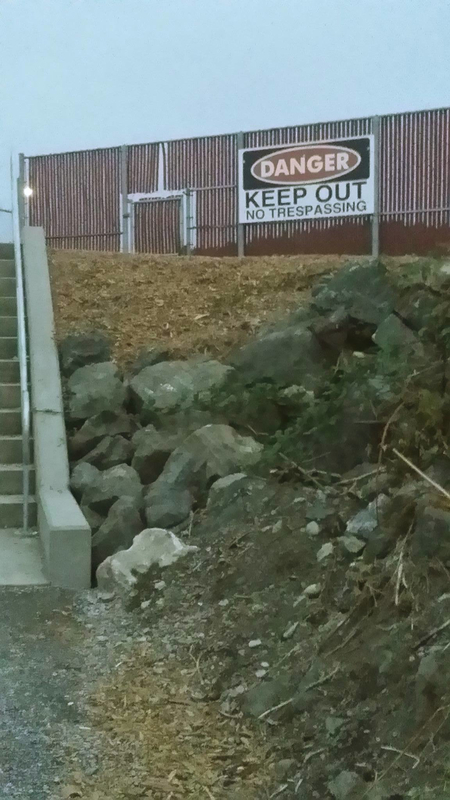 The educational sign is located right next to the sign telling people to stay on the trail because the rest of the area is contaminated with hazardous waste and has not yet been cleaned up. 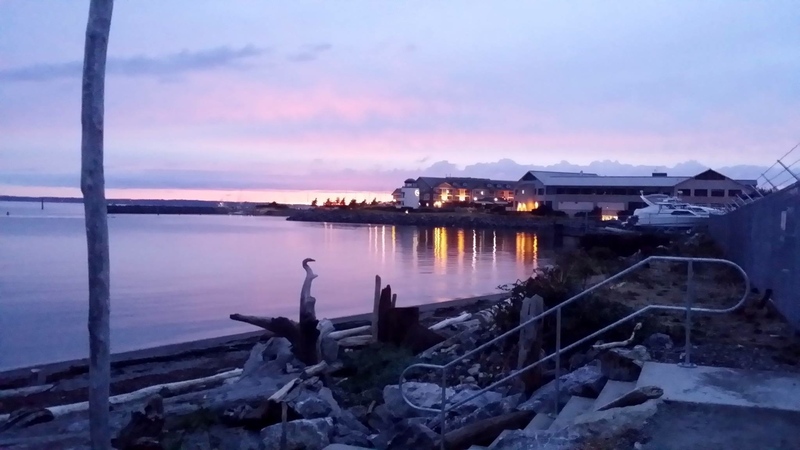 This entry was posted in Commentary, Facebook Event, Information and tagged Bellingham, Bellingham Planning Commission, Biodiverstiy, City of Bellingham, Ecological function, Environment, Restoration, Riparian area, Waterfront. Bookmark the permalink.